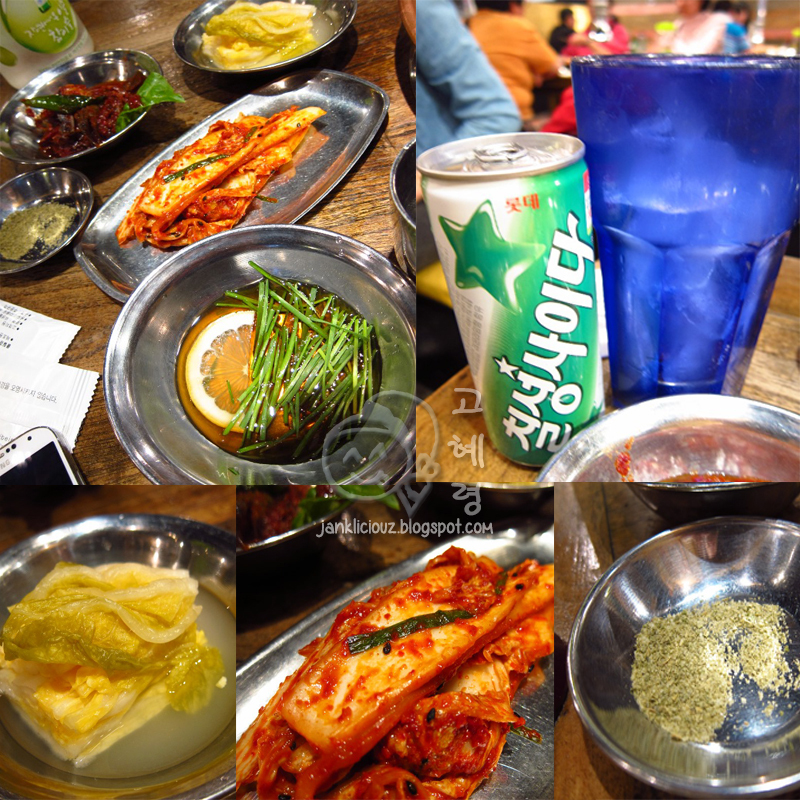 [South Korea, Seoul] Doma is a rib barbecue restaurant in Hongdae, also famous for its Mayak (Narcotic) Doenjang Jjigae (Soy bean paste stew), which is famous for its addictive taste, like erm, narcotics. Hence the name. Side dishes. I also ordered a Chilsung cider to go with the grilled meats. I really enjoyed the soybean paste stew here, which was so flavourful! It's a must-order here because it's so comforting to have it in their cold weather, and it tastes so good too. It's cheap too! Going for 4000won with rice. We ordered the Doma Set B meat platter, which costs 18,000won. The platter consists of beef ribs, Striploin Wagyu (Kobe Beef) and bottom sirloin triangle and 2 mushrooms. Grilling the meat with the stew on top of the grill as well, to retain its warmth! Once you're done grilling it, put it to the side of the grill so that it doesn't overcook. Pick up some salt on the grilled meat (dip it very lightly so that you only get a little!) and taste the lovely marinated flavour coming at you. If you feel smelly after grilling meats, feel free to use the clothes fragrance spray placed near the entrance.